Plants are one of the most important props that a stager needs. It's one of the big transitions in life, and there are so many details to take care of. But staging your own home needn't be something to stress and obsess about. To help you get up to speed with staging, I've collected some of the best sure-fire secrets of the homestaging trade. My favorite way to learn a new skill, whether it's knitting or Qi Gong or batik printing (something I am working on for an upcoming project) is to look at what the experts do, then follow their lead. No one learns in a vacuum. Why learn staging by making mistakes or looking at examples of what doesn't work? You have just one chance to make a first impression on buyers. So, here are my favorite professional shortcuts to success that will be easy for you to follow. Ready, set, go! Stagers call friendly colors the ones that most people like. 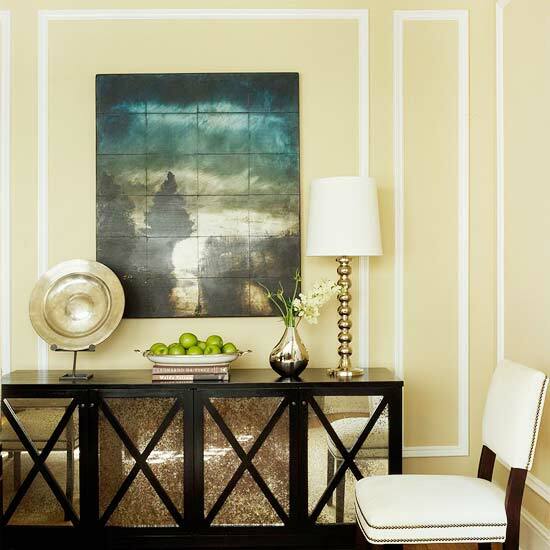 Most people feel comfortable around warm whites and pale neutrals. Avoiding strong colors lets people touring your home relax and get a sense of the room, without the distraction of saturated or unusual colors. It also lets them know they can probably move in without having to paint the walls. Unwise wall colors to use when staging? Purples, deep red, Pepto Bismol pinks, black, chocolate, or dark greens. I've already written about my own method for choosing a paint color. Why one color? Because one color will unify your house, so that rooms "talk to each other." It will also make the house feel newer and larger. And it will save you money on paint, and save you time when you have to touch up. One color. Everywhere. If one color just doesn't work with existing fixtures (maybe you have a fireplace with yellow undertones in the living room, and countertops with pink undertones in the bathroom) chances are you can find two colors that still "talk to each other." Forget the bad rap neutrals get for being boring. You want benign colors that offend no one. I know, I know. Matchy-matchy is passe. All the decorators, the shelter mags and bloggers are raving about mismatched and eclectic furnishings. 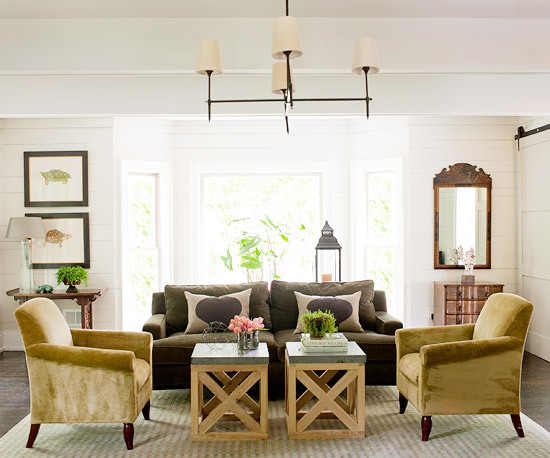 But, darn it, there are times when a couple of perfectly matched pieces of upholstered furniture in a living room that’s otherwise a jumble of assorted furniture styles, just pulls everything together and elevates the perceived value of the room. If you don’t own matched furniture, often slipcovering, reupholstering or painting some existing pieces works the same magic. 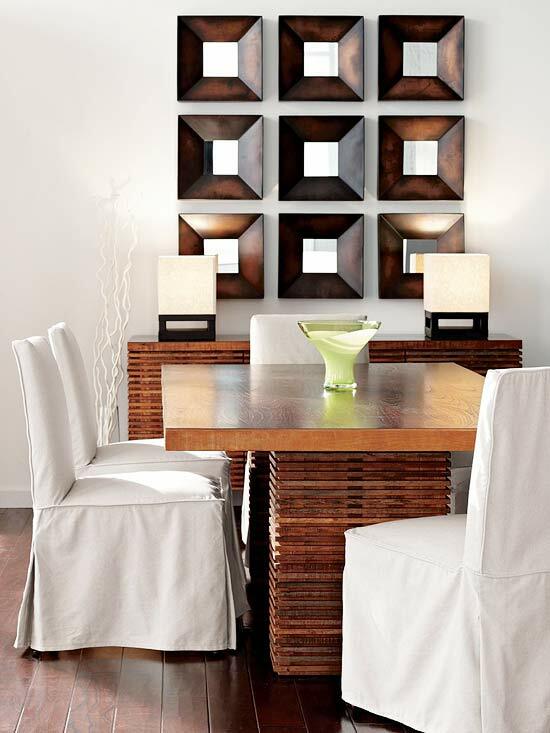 Adding sets of lamps, vases, or framed art also works. Every room needs a shot of shine. Mirrors and glass fill the bill. These reflective surfaces bring to any staged room more light, more space, and more upscale glamour. Since mirrors bounce back whatever is before them, they create the illusion of larger, more open areas. Make sure they're reflecting something pretty! Glass topped tables show more of the floor, so a room appears bigger. Do a walk-through and check your home for furnishings that add some gloss, some glimmer. It could be mirrored picture frames, mercury glass on the mantel, a glitzy chandelier, or a Lucite table. Although the simplest way to hang curtains and draperies is to place a tension rod inside a window casing, that’s not always the most flattering treatment. Professional stagers know the bigger the windows, the more interesting and generous a home feels. So, mount your hardware high on the wall and away from the sides of the window. Screwing hardware to the window trim makes holes that are difficult to fix with putty and paint. Holes in the wall are way easier to repair. Exceptions to the rule? Historic homes where you want to show off architectural details around a window. Or ultra-modern spaces where you want the minimalist look of unadorned glass. 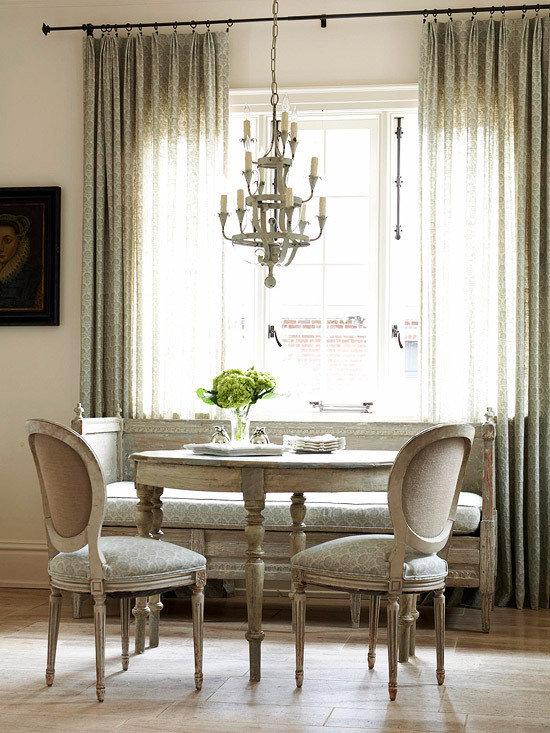 Or a small room with a small window where small is part of the charm and large window treatments would dwarf the space. Real ones or silk ones, the debate goes on. But one thing’s for certain: plants add a certain je-ne-sais-quoi. Ya just gotta have ‘em! I lean towards silk plants as long as they are good quality and not cheap cemetery-style blossoms. Other stagers swear by orchids. I don’t like clients to have to care for plants. There are ways to make silk plants look like real plants. And I think that, except for Open House Day, cut flowers just don’t make any sense in a staged home. They require too much attention and don’t last long enough for me. If you have an unlimited floral budget or an abundant cutting garden of your own, maybe it’s possible. Otherwise, silks to the rescue! There's always room for some greenery or flowers. At least, there should be! Once you’ve decluttered and cleaned, take some time to run down this list of five steps the pros know. These are the methods decorators and stagers use daily to get homes sold! You don’t have to reinvent the wheel to stage your home. Tricks like these and my eBook, DIY Home Staging Tips to Sell Your Home Fast For Top Dollar, will make it easy to stage a home that buyers want.